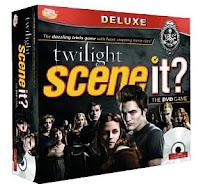 You can get all Scene It Games for only $7.99 right now at Amazon. They all qualify for Free Shipping (but you must spend $25.00). There is a limit at this low price – 3 per customer. If you belong to Amazon Prime you can get free shipping. If you aren’t a member, you can sign up for a free trial period and get free shipping this holiday season!